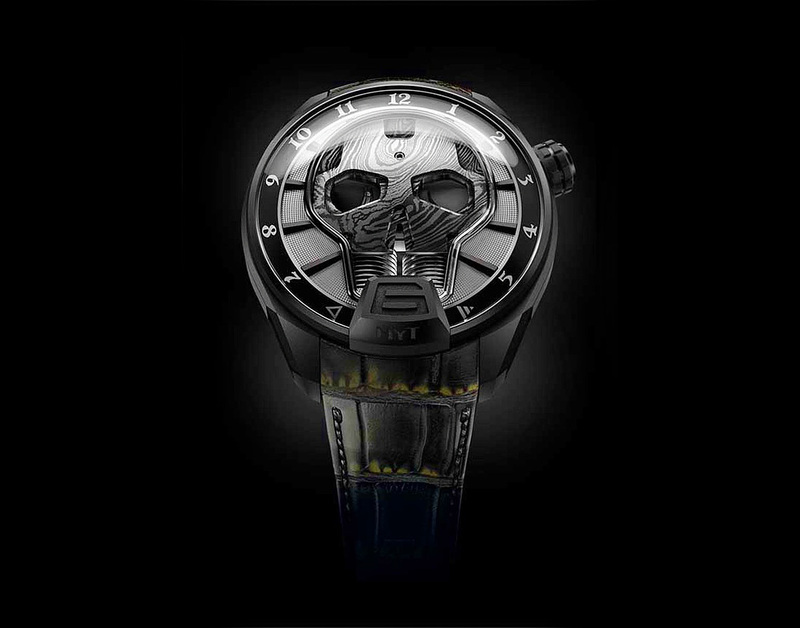 Take a look at the breathtaking watch Baselworld 2016 HYT Skull Bad Boy which tells time using black liquid. The watch looks pretty cool. Though it is very difficult to read time on it, in the dark because of the black liquid that runs around the capillary to tell time. The black liquid produces no luminosity in the dark making it very difficult to read time. 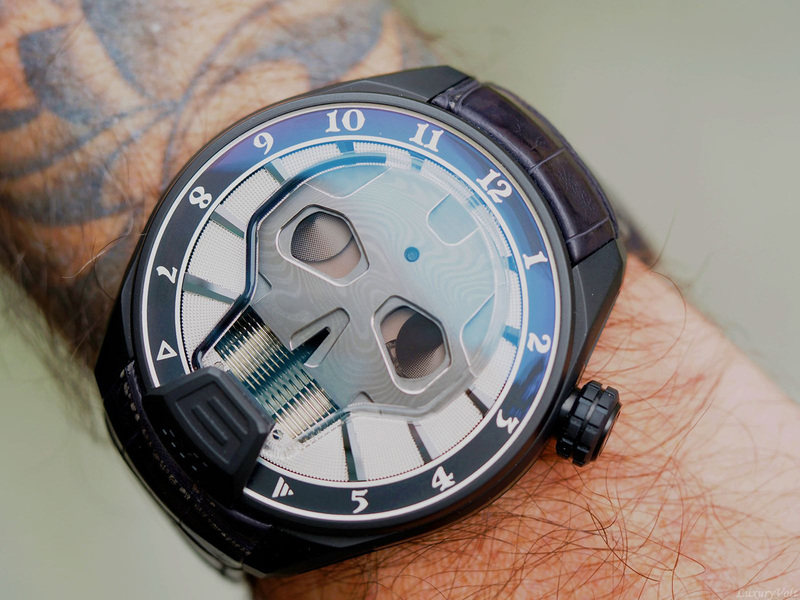 HYT Baselworld 2016 watch Bad Boy Skull is available in a limited edition of 50 numbers. 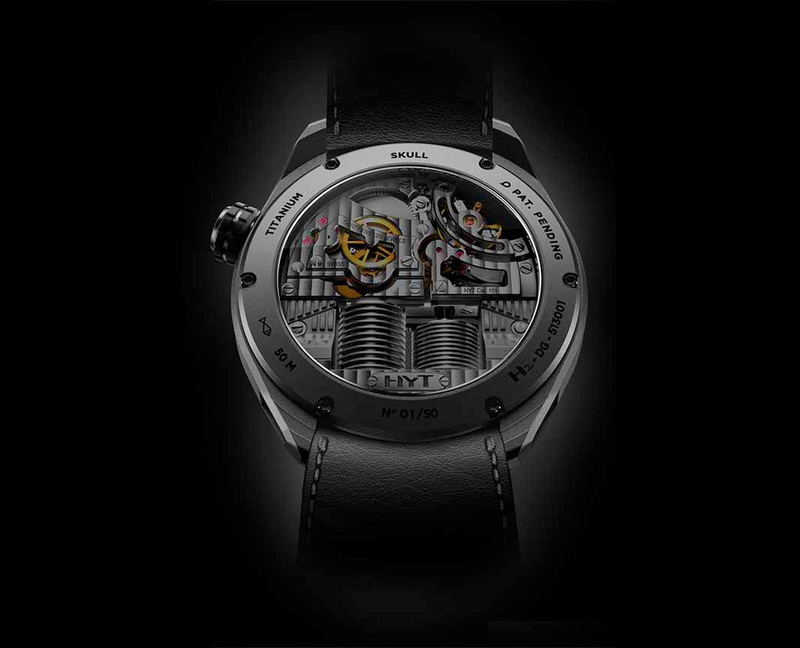 In fact, the inspiration for HYT to develop this watch is this black liquid that took 12 months to develop. “It was a deliberate decision”, explains Vincent Perriard, CEO of HYT. “There were other solutions which would have made the piece visible at night. But if we wanted to play with the darkness inherent to the Skull Bad Boy, we had to go all the way. Night is part of the world of shadows and darkness. Perfectly in tune with the spirit of the skull”. 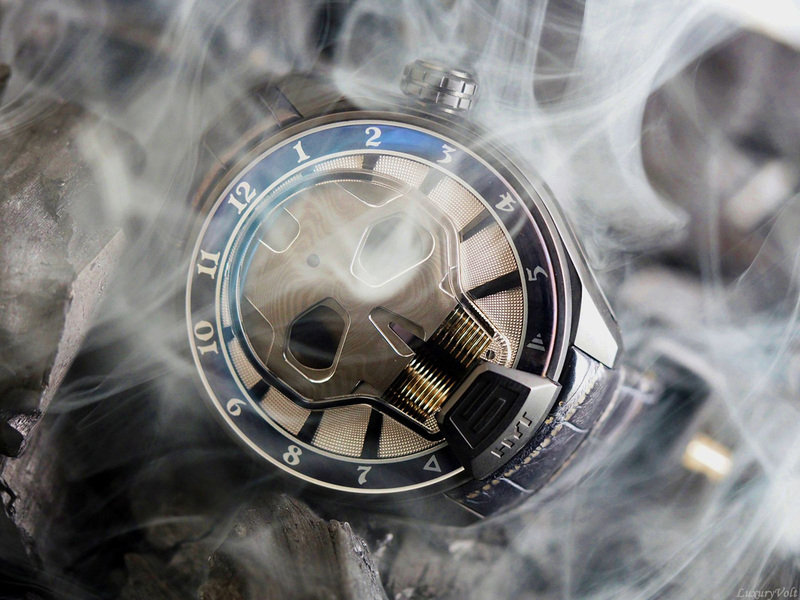 The hero of 2016 HYT Black watch is the black liquid. Which is why the metal used to construct the skull was carefully selected to compliment the black liquid. 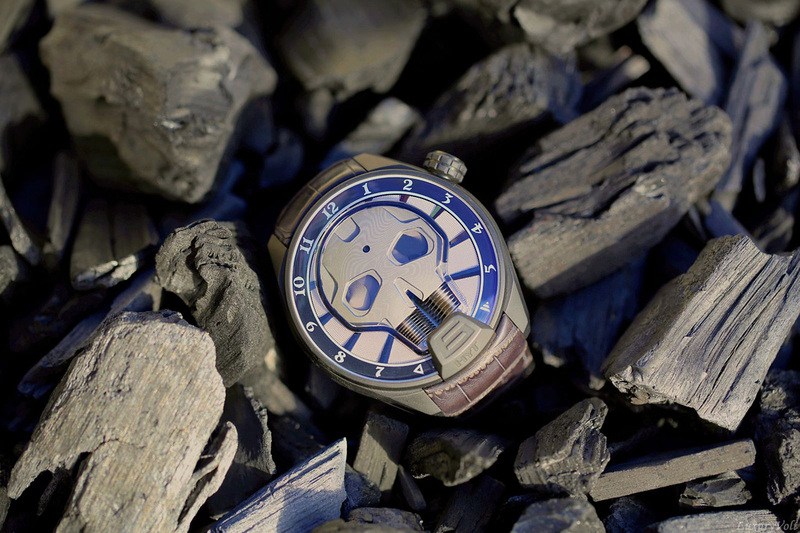 HYT has used Damascus steel.Damascus steel is mixed with Carbon to bring the blackish flavour to the Skull. The skull is an ever-changing interplay of its two component materials. HYT Skull Bad Boy’s steel colour is an eye-catching grey, whilst the black colour of the carbon is revealed by a chemical abrasion process. 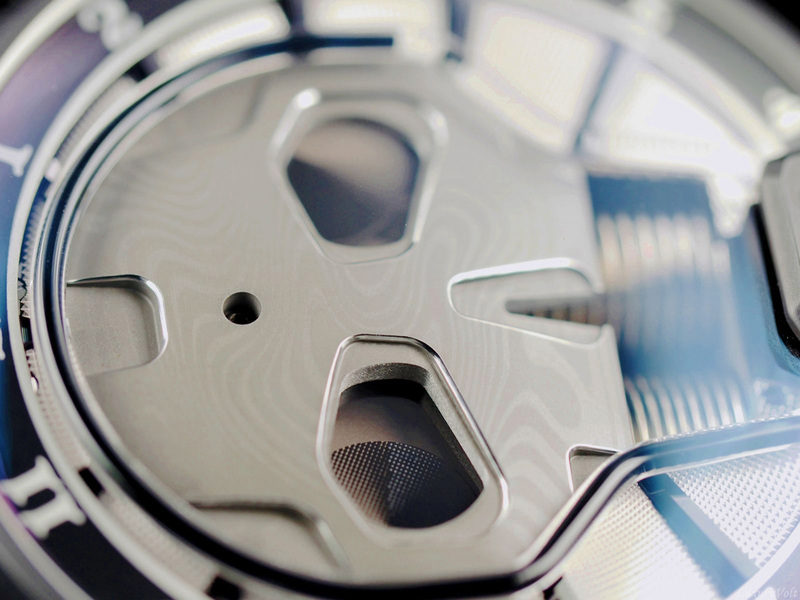 2016 HYT watch dial is massive at 51 mm diameter. 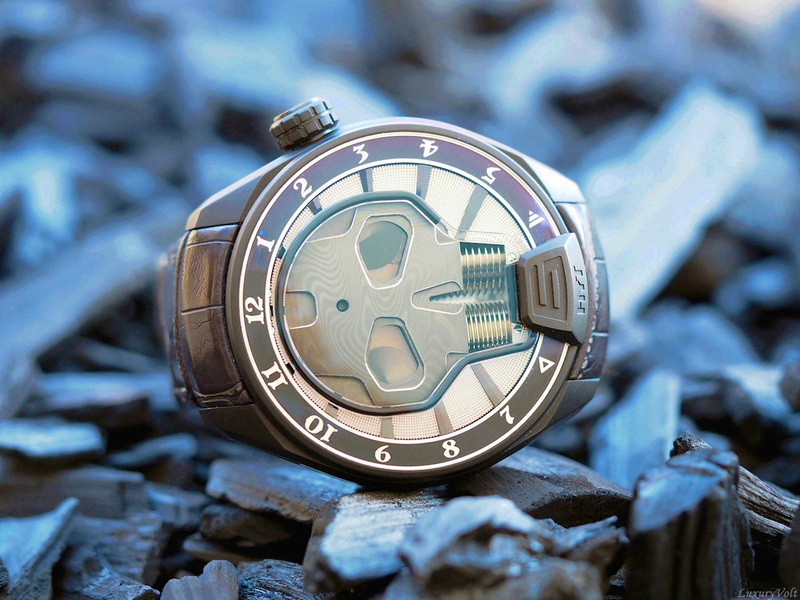 All the functionalities of the original HYT Skull have been preserved. The power reserve indicator sits in the right eye socket, which gets darker as the piece reaches the end of its 65-hour power reserve. The left eye socket houses the seconds disc, permanently, imperceptibly, turning. But you can always check more black watches for men.